For the arrival of the newest member of the family, here is a game full of tenderness! Baby is sleeping. 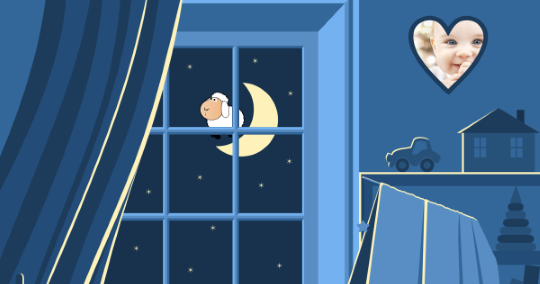 Help him count the sheep behind the window. Click the left or right arrows to decrease or increase the displayed number. More and more sheep appear as the game progresses: stay focused and keep an eye on everything. After customization, the newborn baby's photo will appear in the heart-shaped frame at the top of the game. Order the game "Welcome baby!"